Our restaurant was founded more than 15 years ago in the heart of Coffee county in the city of Douglas, Georgia. The very first Japanese restaurant in town, well known to local citizens and neighbouring towns. We take pride in our food preparation and provide exceptional services to all guests. We are simply better at creating delicious and nutritious Japanese dishes using top quality and all-natural ingredients. Using teppanyaki grill tables we prepare sizzling hot meals right before your eyes; freshness is at the heart of everything we do. Natural ingredients are cooked to perfection locking in the flavors and juices that are fused together in each and every dish. 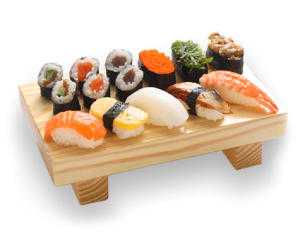 We also offer a wide range of handmade sushi rolls and sashimi. We welcome you to discover our famous signature & popular dishes that match your taste and lifestyle.